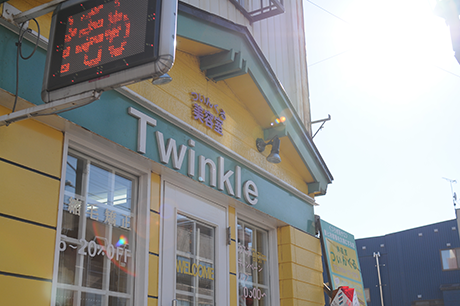 This shop is a beauty shop & kimono rental located in the north of Japan in Otaru, Hokkaido. Here you can really experience the traditional culture of Japan by wearing a kimono and spending time in the historic, scenic Otaru city. Otaru has a very historic atmosphere filled with old-fashioned buildings lining the streets. A Kimono is a type of traditional Japanese clothing. And Otaru is well suited by Kimono which add to the historical atmosphere of the city. Otaru has all the quintessential features of a historic town: brick warehouses along the beautiful canals, small blown glass shops, and even stores that sell hand-crafted music boxes. Also, sushi, the popular local dish of Japan is famous in Otaru. Here it is especially fresh because of the city's seaside location in Hokkaido. Spending time in Otaru can really put you in the shoes of a traditional Japanese person. Wouldn't you too like to create great memories in a beautiful Kimono perhaps even riding a rickshaw in the historic Otaru city? Japanese restaurants and geisha houses. at banquets singing and dancing. The rickshaw is a man operated pull-cart that was used in the old days of Japan as a primary means of transportation. 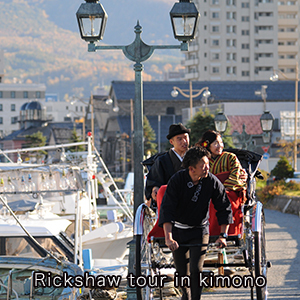 Because they’re quite enjoyable, in Otaru, Rickshaws are still commonly used today! Kimono have been a lasting traditional clothing in Japan for centuries. 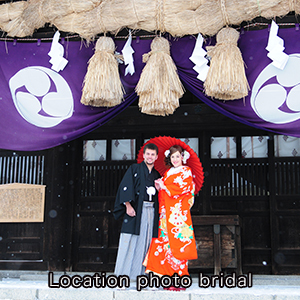 © 2019 See the sights of Otaru dressed in a traditional kimono All Rights Reserved.